Whether you are a professional athlete, generally active, haven't worked out in a while, or have never done a workout in your life - CrossFit is for YOU! Regardless of your fitness level, we can take any workout and scale it up or down to your starting point and then slowly build from there. We want to help make your life better because that is what fitness is all about! Too many times, we hear someone hesitant to start CrossFit because "I am too old," "too weak," or "too out of shape." These are EXCUSES. Here at CrossFit Nashville, we STRONGLY believe Fitness is a PROCESS. We believe in increasing load and intensity over time. My grandmother and a former collegiate athlete both need to be squatting and deadlifting. They are not going to deadlift or squat the same weight at the same intensity level, but both need to be doing the movement. My grandmother should start with an air squat and deadlifting a PVC pipe because she needs the basic mobility and strength required to pick things up off the ground. And she needs to be squatting so she can continue to live an independent lifestyle (we all have had loved ones who require assistance getting up and down because they have lost the strength to do so on their own!). Regardless of your current fitness level, we will start you on a path that will get you fitter and faster than you have ever been. The hardest part about starting CrossFit is the initial decision to walk in the door. Once you're in, you'll be hooked! The workouts are fun and the people around you are friendly and encouraging. Anyone who has not already been a member of another CrossFit gym for at least six months must complete 3 introductory classes before joining our regular classes. 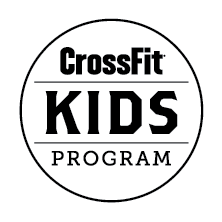 These intro classes will cover the foundational movements that we use at CrossFit Nashville, so you understand how to do them correctly and safely. Also, you will go through your first three CrossFit workouts with other people who are new to CrossFit. The intro classes teach you what to expect in a regular class, where equipment is located, and how to score each workout. We offer intro classes one week a month at each of our two locations. We meet on Monday, Tuesday, and Thursday evenings. Anyone who cannot make the dates of the regular intro classes (or anyone who does not want to wait) can opt go through two one-on-one intro classes (cost of $50 per session) with one of our trainers where they will cover the same material. One-on-ones can be scheduled at your convenience so we can typically get these knocked out within a few days once someone decides to go this route. Set up introductory skill sessions by emailing info@CrossFitNashville.com. Or, if you are just curious, call or email to come in and see what we do!